I did my last post about Things I LOVE about being pregnant but today I am writing the opposite. Now don’t get me wrong. My husband and I are thrilled that we are expecting. 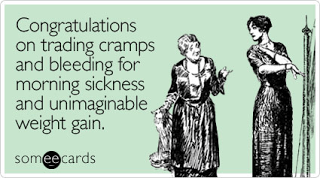 I have to admit I was extremely lucky not to have morning sickness as well but there are still things that I am feeling that I wish didn’t happen. 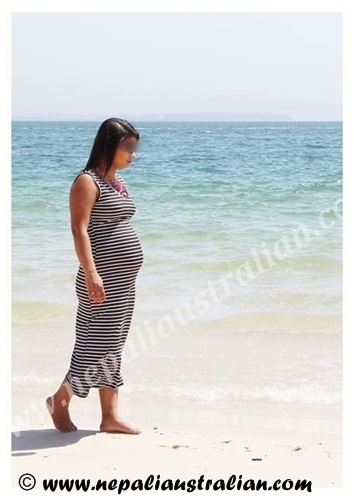 I might get a back lash from people for not loving the pregnancy but in my honest opinion, there are many things I did not know about pregnancy until I became pregnant myself. Because, even though pregnancy and childbirth is a miracle, it’s not all roses and sunshine, is it? Therefore, here is my list on things I hate about being pregnant. This was not an issue for me until the last few weeks but I feel so helpless these days. As much as I love the love and affection of everyone around me and being spoilt, I do not like that there are so many normal day to day activates that I can’t do and need help with. I am a very active person and it is the constant asking for help I don’t like at all. I feel so helpless that it annoys me. From the moment I found out, I was pregnant, I worried about everything and anything. For the first 12 weeks, I was worried about miscarriage, and then I would worry when I could not feel the baby move. Then I am worried when the baby moves too much or too little. Seriously, my mind is a constant battlefield thinking about the welfare of the baby. I even cause my hubby to worry at times. Thanks to doctor Google, most of the answers to my questions are easily available. Sometime I eat something that I am not supposed to unknowingly and that makes me very worried, as I am scared for the welfare of the baby. I know that this worry will not go away once the bub is out either as I will have other things to worry about. From the first few weeks, all I seem to do is run to the loo wherever I am. Even if I remember to pee before I go out, once we are at our destination, the first things I do is look for a toilet. Sometimes it is so frustrating as I spend so much time on this. I know it these are all usual signs of pregnancy, a part of all the hormonal changes in the body but I don’t have to love everything do I? Whatever tiredness I have experienced in my life before the pregnancy was really nothing compared to what I feel now. Because my in-laws were here, I was constantly on the move and was doing more than 10,000 steps most of the days, which meant I was dead tired when we reached home. Then there are the foot cramps that happen at the middle of the night and are so painful that I feel like I am going to die. Thank God that when I yell hubby wakes up and helps. I just hate the pain and everything that comes with it. I love to be out and about utilising every moment of the day but looks like I will be in front of the sofa watching a movie for a while until the baby decided to come out. As I am growing bigger every day, my back is not coping too well and my feet are swollen as well. I have stopped running a while ago and I can’t walk or swim for long periods anymore. There are times I feel so fat, gaining more than 10 kg already and being so big for the first time in my life, I worry what will happen, once the baby is out. I know it will be a hard journey of healthy eating and regular exercise to get back in shape. As I mention I am extremely lucky with my weight which is mostly concentrated around my belly but still there are times that I hate the way I look. I dream of running and jumping and getting back into the shape so I can feel good about myself again. Few weeks ago, I had a very bad case of acid reflux. At the middle of the night, I woke up multiple times and had to throw up. It was one of the worst nights of this pregnancy because I was so worried something bad was going to happen to the baby. I called the doctor multiple times just to make sure if I needed to go to hospital but she assured me that it was bad food that caused the vomiting. After that incident, I am more careful about what I eat but still the acid reflux is not 100% gone. According to what I read, it won’t go away until the baby is out. Also my gums are bleeding when I brush or floss and when I told this to my doctor, she said that it is part of being pregnant :(. Apparently the increased blood volume is responsible for all this. This is another problem which I did not have for a while but it stared a few weeks ago. Today I woke up at 4:30 am and could not go back to sleep. After tossing and turning for a while, I decided to wake up and do a few stuffs before getting ready to go to work. Because of that, I am really tired the whole day and it doesn’t look like things are not going to get any better soon. As I normally sleep on my right so sleeping on my left side while acid creeps up my throat and my child keeps moving inside the tummy, sleeping 8 hours a day seems like a distant dream. If I manage to stay on my left side, I wake up with a painfully sore hip and feet. I think most of you know that I love my clothes and shoes. When I found out that I was pregnant, I was super excited and started looking for maternity clothes. To my disappointment most maternity clothes are so ugly and super expensive. So I made a decision not to buy them as long as I could. So far, I haven’t bought any maternity clothes as I aim to fit into the dresses I already own. Moreover, it is working. Of course, I can’t fit into my super tight dresses but any dresses with elastic or flare, I am wearing them. I have to wait and see how I go for next few months to see if I have achieved my goal or not. In addition, even though I loved the increased cup size, the bra I bought a few months ago is getting too small now and I do not like the idea that it will keep growing even more. Because of that, so many of my clothes do not fit me anymore. I bought a new swimwear once my belly popped out but now I can’t fit into it either so I need to do more shopping. Also for the last few months, I have been wearing only flat shoes so all my heels are crying feeling left alone. I hope this is temporary and I can still fit into those shoes when I go back to normal size. People have told me that sometimes, your feet never return to their former size. I am praying that is not true otherwise my 100’s of shoes will be useless in my wardrobe. Definitely, I am not throwing out all my pretty high heels but I will cry for sure if I can’t fit into them again. This one is so embarrassing but so true. One of the early signs of pregnancy I had was, I was passing more gas. I think it got better after a while but you are not the same. Then once your tummy starts to grow, you start passing more gas again. Guess no room in my tummy for anything else but the baby. I am sure I can come up with a few more points if I keep thinking but this should do for now. Even though I am loving my unborn child more than anything in the world, I am hating all the cons that comes with pregnancy. I am not sure why many women don’t talk about things they have about pregnancy. I heard that most of them forget all the pain once the bub is out. I hope that is true but in the mean time all this uncomfortableness and tiredness is going to stay with me for a while thus my right to whinge. Mummy loves you very much despite all the complains, she can’t wait to see you and hold you and love you. 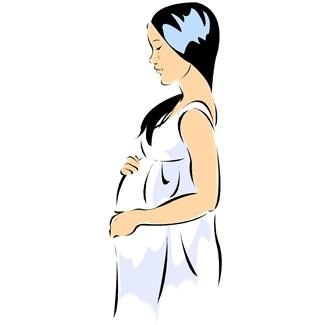 Do share your own experience about the things you hated while you were pregnant. Also if you have any suggestion to overcome my problems, I welcome them with open arms. 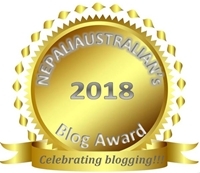 This entry was posted in My pregnancy and tagged 10 Things I LOVE about being Pregnant, Acid reflux and gum bleeding, australian nepali, back pain, Body Issue, Constant worry, Feeling helpless, foot cramps and Fatigue, Gas, i am pregrant, kathmandu, love, M from nepaliaustralian, Nepal, Nepalese wedding, Nepali, nepali australian, Nepaliaustralian, newari, our love story, pregnancy, pregnancy journey, Sleeplessness, The constant need to go to toilet, Things I HATE about being Pregnant, Things I LOVE about being Pregnant, Tiredness, Wardrobe and Shoes issue, we are having a baby. Bookmark the permalink. I totally agree, maya was born in June and it was sooooo difficult to find a swimsuit! 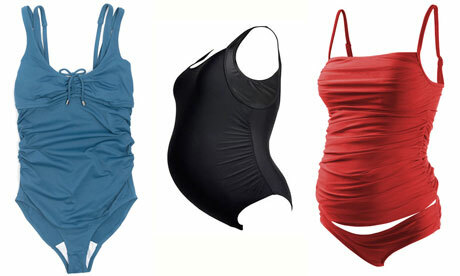 I went to swim yesterday and my current swimsuit is not the great one but I am not looking for another one as the baby will be coming soon and I hope to get back into my old ones soon.. Even though a woman loves having a baby, there are some problems. I agree we have to admit it isn’t all fun! The list made me smile, many of these things happened to me a long, long time ago! ha ha! You will be okay, dear! Sometimes I wish, there was less complication duringpregnancy for everyone so it is a one happy cycle but I know it is not. I am lucky not to have too much problem so far and hope it will continue until the baby decide to come out. Foremost, hearty congratulations for the lil angel.. though i don’t have any such experience but the only thing i would suggest you is take care of yourself and don’t think too much! Eat well and take proper rest! Your wardrobe and shoes collection is marvellous! They are amazing! Don’t worry you’ll get back in all of them soon! Don’t worry M, all those pain will go away after holding ur little one. And yes don’t regret about not feeling good enough, this is also a part of pregnancy blues. 🙂 that’s why motherhood is the best thing to happen as its so hard. Take care and yes I agree as well; don’t push urself too hard. All the best. Thanks Shilu. Hope you are going well with your own pregnancy as well. All the best gal and do not forget to share the good news with me . Take care of yourself and bub. Oh boy does pregnancy come with many issues! I think the whole not sleeping thing, is natures way of getting us ready for when the baby comes home. Because that’s when you know what sleep deprivation really means. What we eat can really affect us during pregnancy and even more so with breast feeding. Your feet may swell a lot more before the pregnancy is over, but don’t fret as, most people’s feet go back to normal. You will wear those gorgeous shoes again but maybe not for a while. Remember 1 thing M…Don’t be too hard on your self or push yourself to do more than you need to, especially after you and baby come home! I’ve known too many women to get post natal depression as a result of not feeling good enough etc, or that their body hasn’t returned to their normal size. Nice to see you back in here, missed you. I will remember your advice and hope things will go as planned once the bub comes into the world. Wow, you have a lot of shoes! Haha.. I hope the good outweighs the bad. Good luck on the rest of the pregnancy.